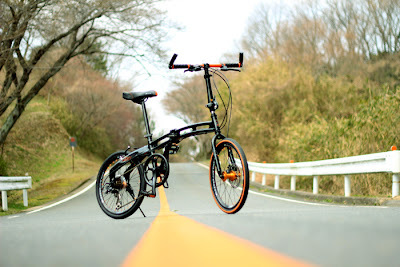 So I just got myself a new toy : a Doppelganger 211 Folding Bicycle. I've been wanting to grab a folding bike ever since I got back from HackInTheBox Amsterdam a few years ago, but due to random stuff happening regularly, I've been delaying on the plan. This is my first personal bicycle since about 10 years ago, where previously during primary school and lower secondary school, bicycle was my primary vehicle.